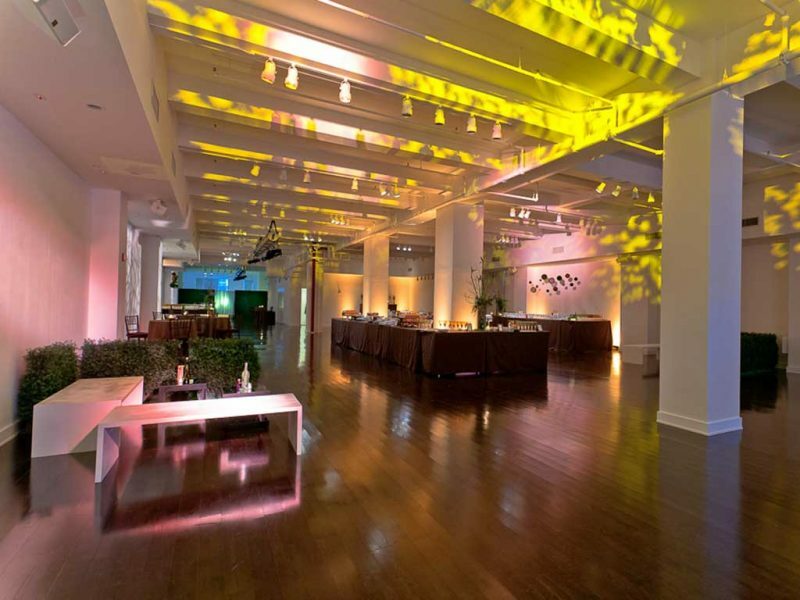 The Full Pavilion (25,000 square feet) provides a polished American oak floor, 12- to 16-foot ceiling heights and a retractable sound wall to scale the room for smaller events. The Metropolitan Suite (8,500 square feet) features dark flooring of sustainably-harvested oak, 16-foot ceilings, and north and south exposures. 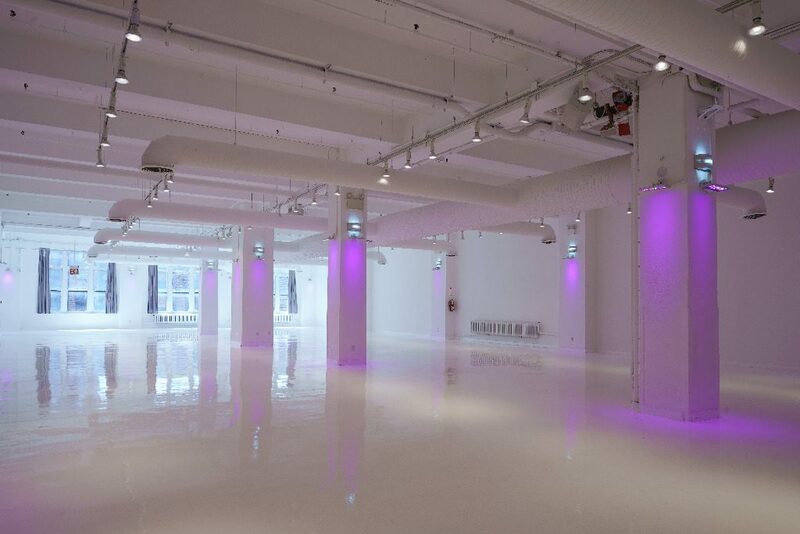 The Gallery (7,000 square feet) has a poured, white resin floor of brilliant sheen and a 1,500 square foot breakout room. 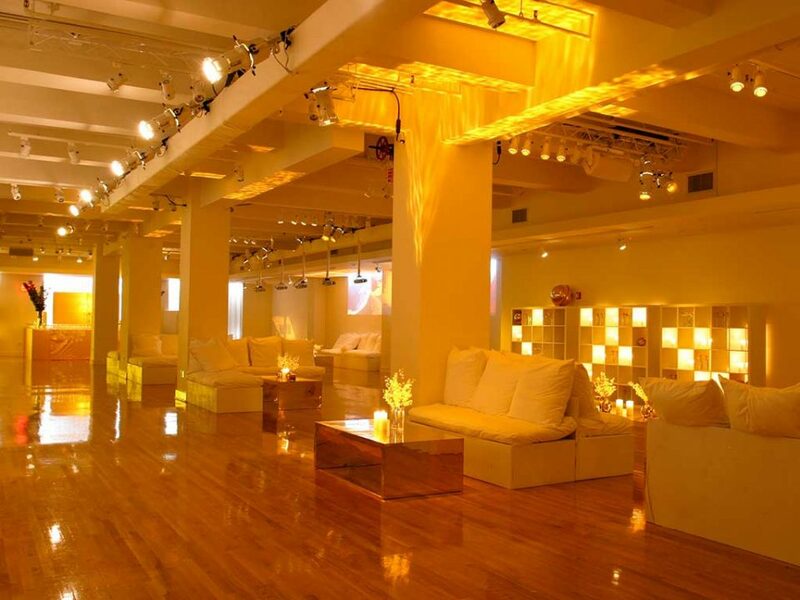 The Level (7,500 square feet) offers cove lighting and oak flooring of warm tones. 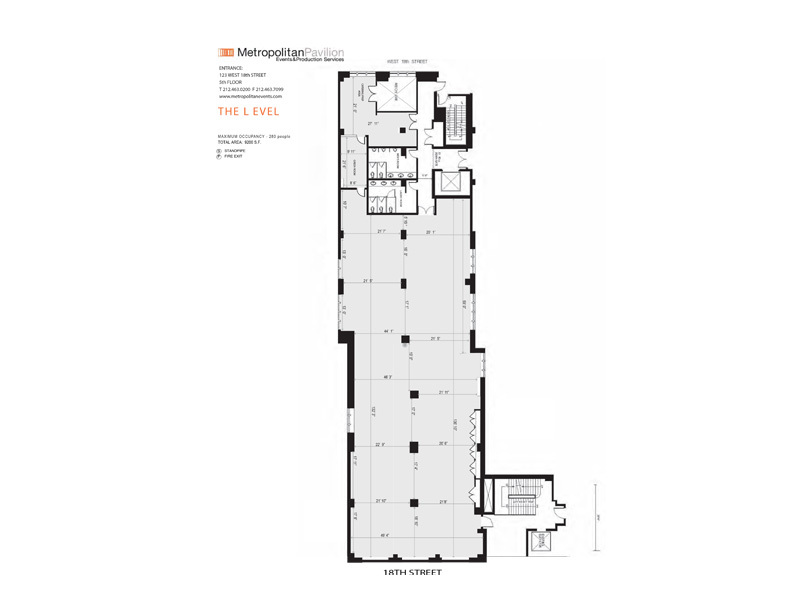 Floors can be combined via an interior staircase and 20-person elevator. 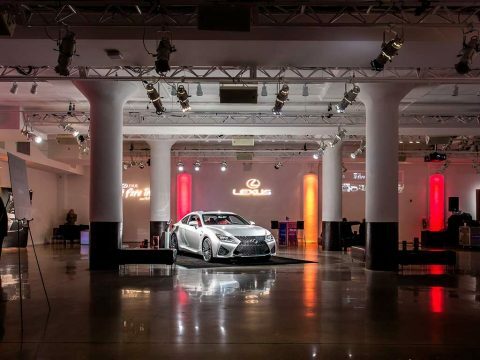 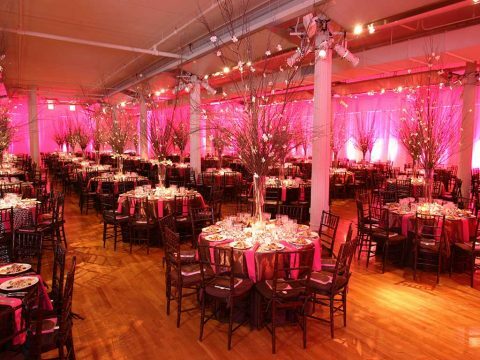 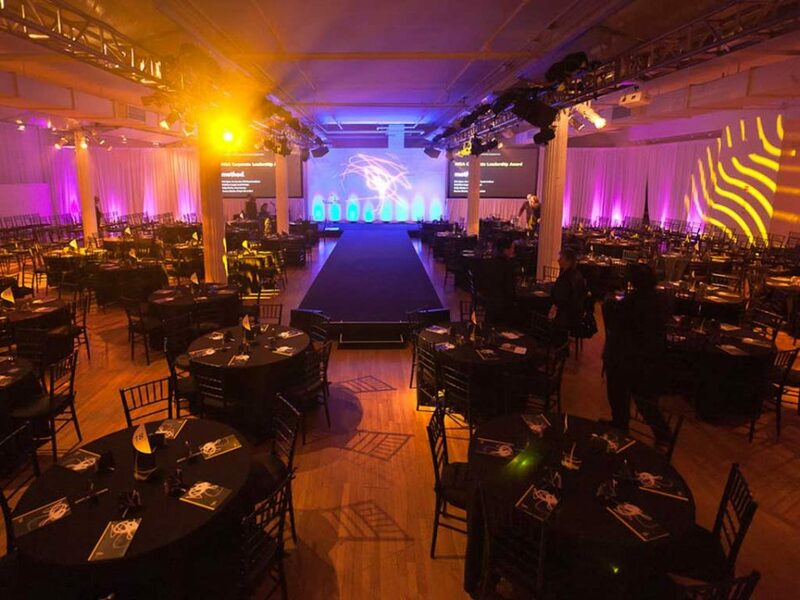 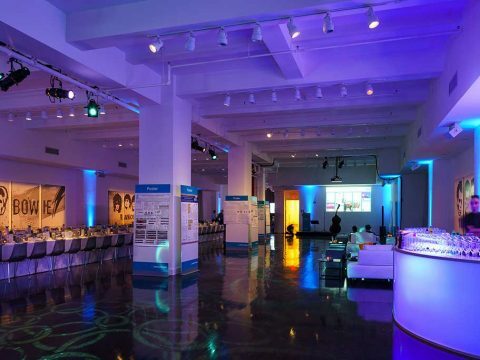 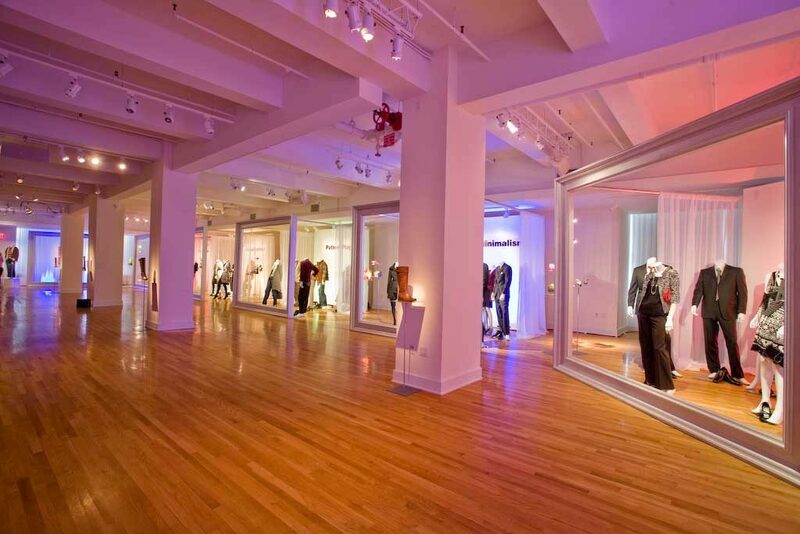 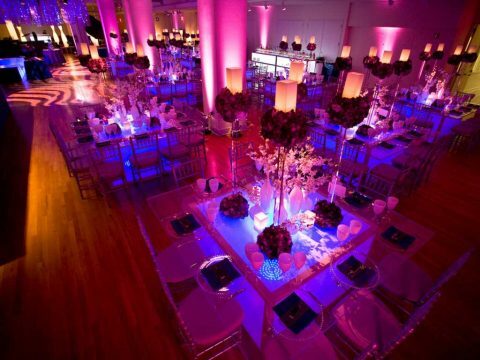 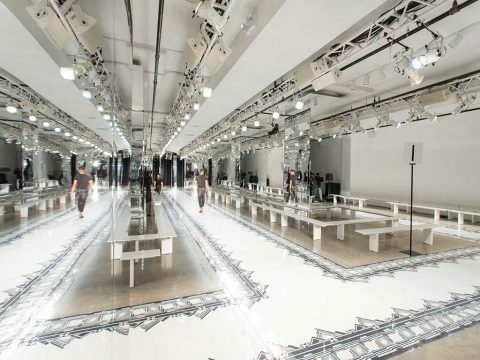 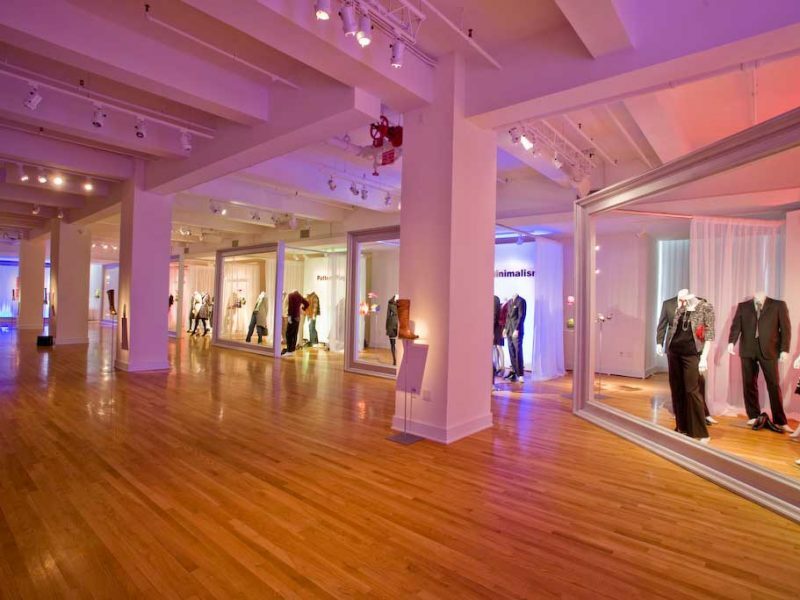 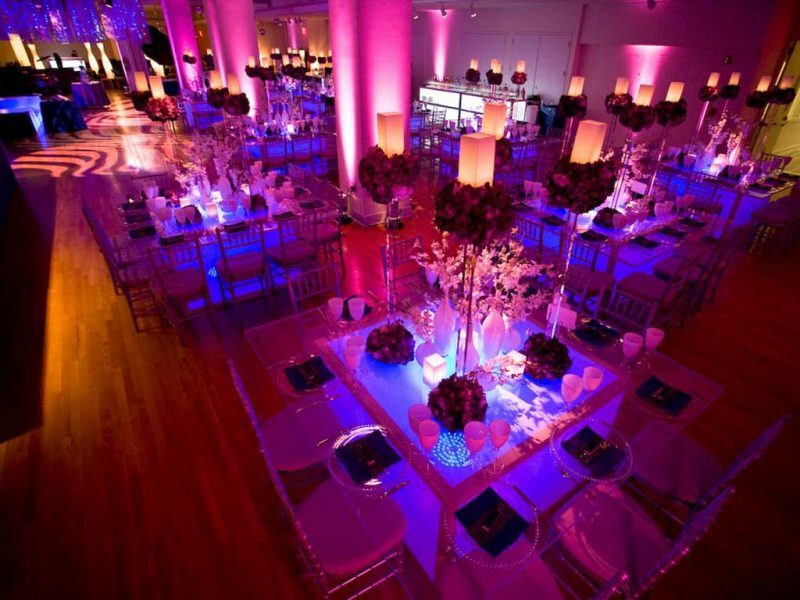 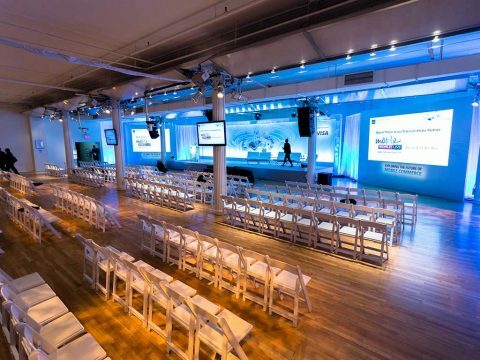 One of Manhattan’s best known event spaces, the 25,000 sq. 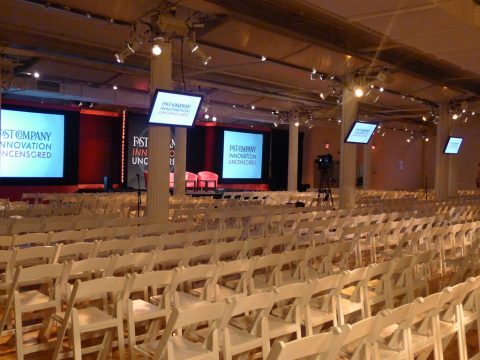 ft. Full Pavilion accommodates 1,565 people. 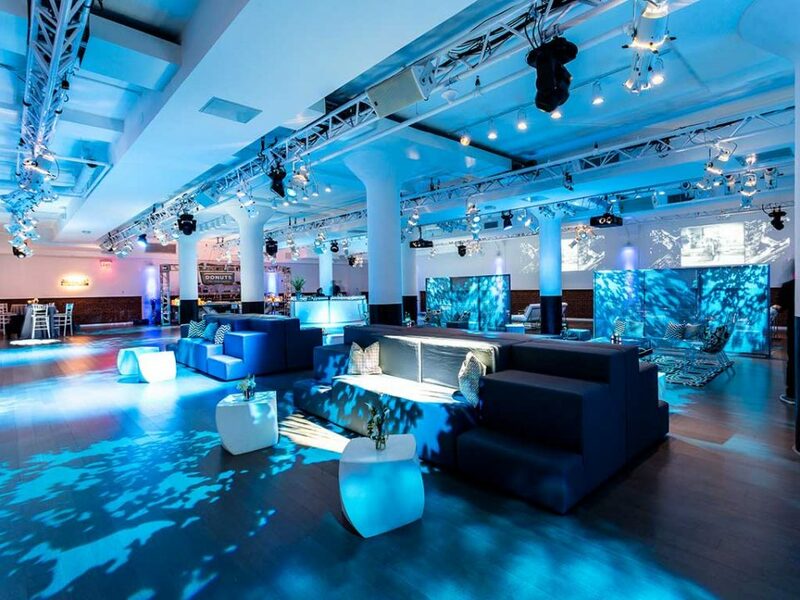 It offers a finished space and minimal pre-event setup for lighting and sound with LED perimeter and column downlighting, track lighting, Leko template washes, and Yamaha DSR112 speakers over an extensive passive sound array—all fed by internal cabling. 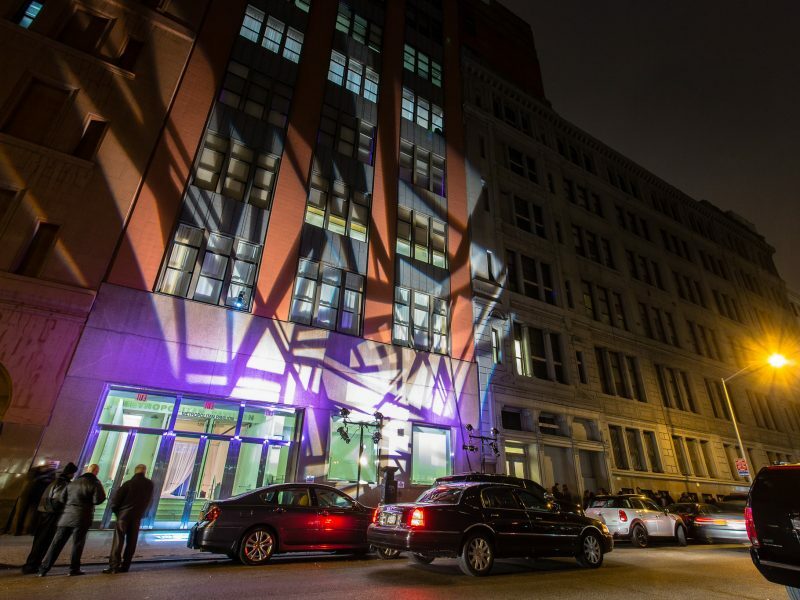 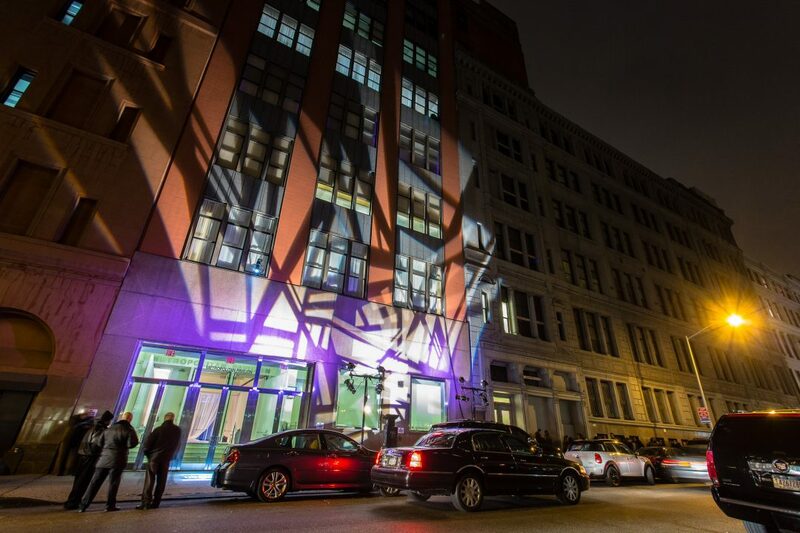 HD projectors, 7′ x 12′ wall screens, LED display technologies are further enhancements. 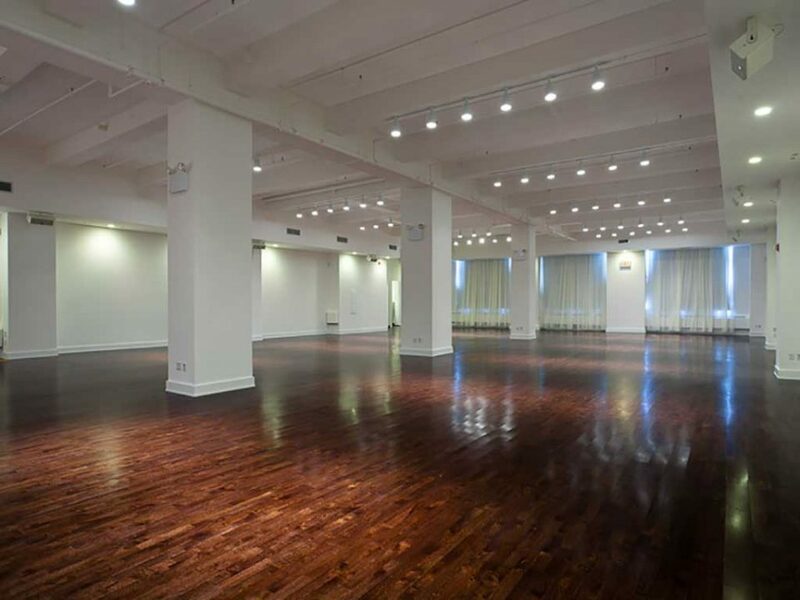 Flooring of American white oak stained antique brown, 12- to 16-foot ceiling heights, and a white, floor-to-ceiling, sound-resistant, retractable wall lend further design versatility. 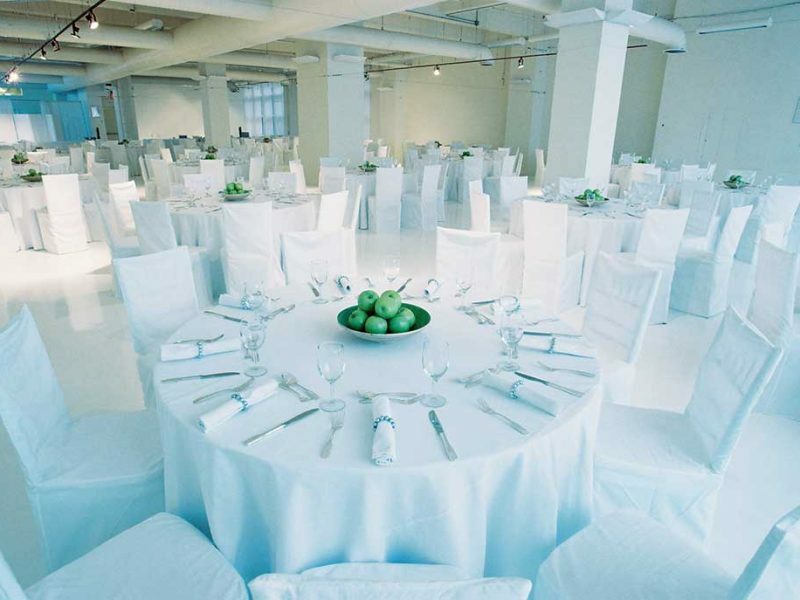 Other features include a private lobby with a white-stone check-in desk (13′ long), catering prep rooms, green rooms, and direct loading dock access. The Full Pavilion easily accommodates vehicles for display. Below are floor plans for the Full Pavilion available to view and download. 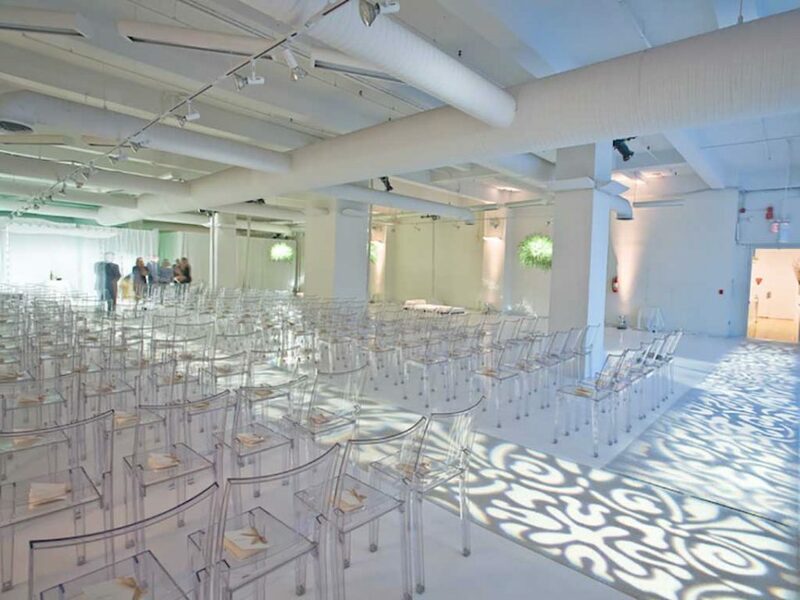 The Metropolitan Suite accommodates 300 people and features 8,500 square feet of sustainably-harvested Danish oak flooring, plus natural sunlight from north and south exposures. Integrated dimmable LED track lighting, HD wall projectors, and a sound system provide audio and lighting solutions. 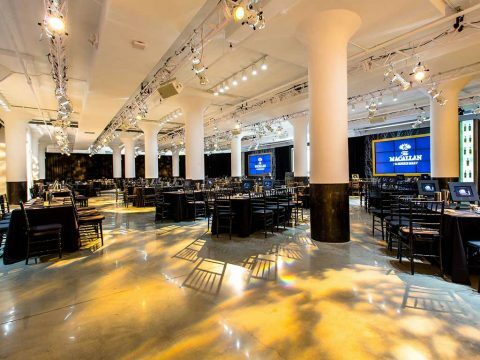 Other features include a catering prep area, green room, coat check room, 16-foot ceiling heights, rich brown velour blackout drapes, and an HD display at the entrance for strong branding opportunities. 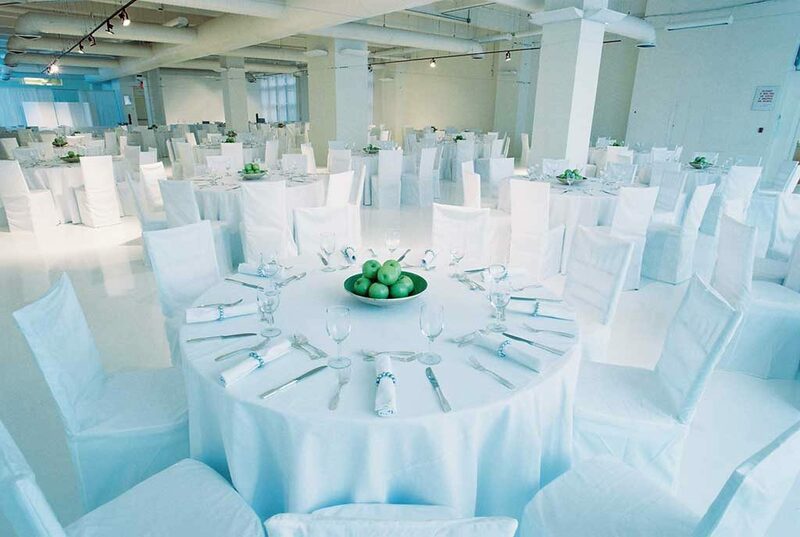 Various room elements are FSC and LEED certified. 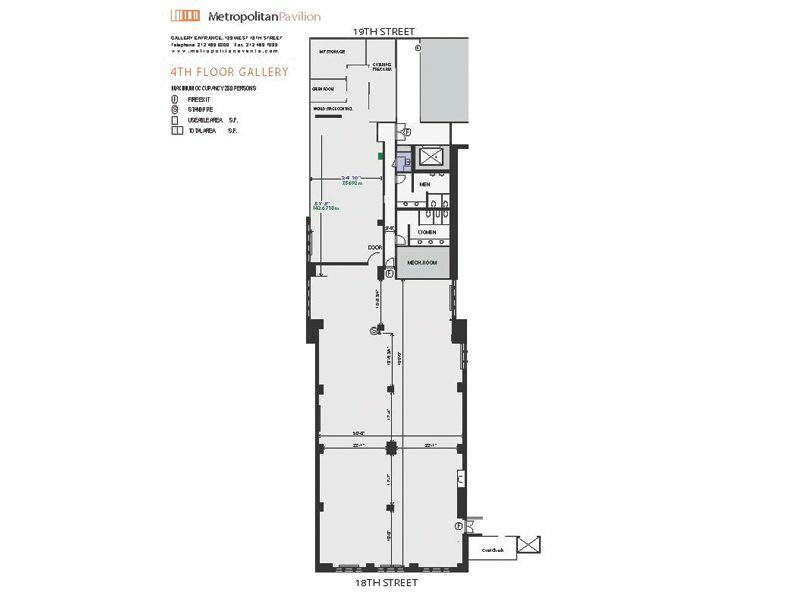 Below are floor plans for The Metropolitan Suite available to view and download. 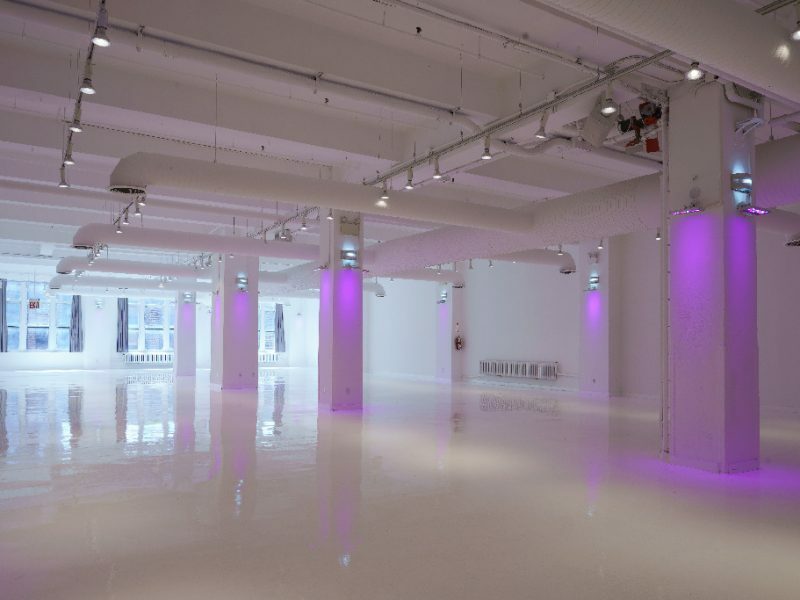 Metropolitan Pavilion’s Gallery accommodates 280 people and features a breakout room (80–100 people) and a high-gloss white epoxy resin floor. Integrated dimmable track lighting for gallery-style pin spotting, LED down lighting on all columns, HD wall projectors, and a sound system provide audio and lighting solutions. Other features include a catering prep area, a green room, a coat check room, 9-to-14-foot ceiling heights, velour blackout drapes, and an HD display at the entrance for strong branding opportunities. 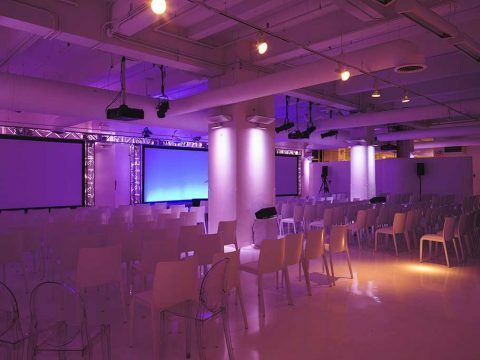 The breakout room has its own dedicated projector. 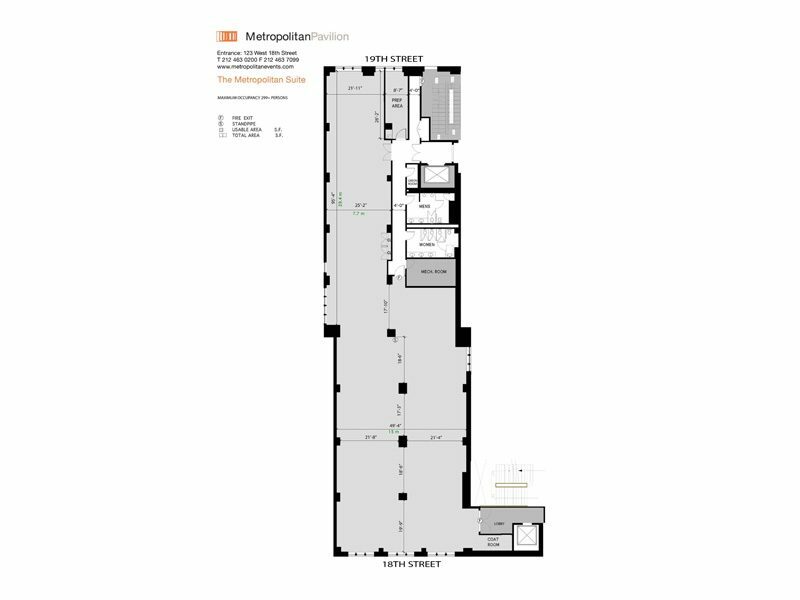 Below are floor plans for Metropolitan Pavilion’s Gallery available to view and download. The Level accommodates 300 people and offers 7,500 square feet of blond oak flooring. 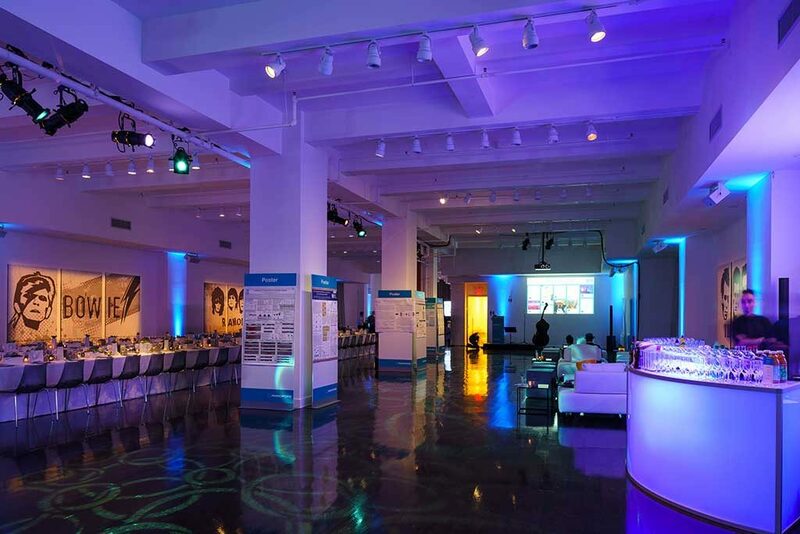 Ceiling-mounted stage lighting, dimmable LED track and perimeter-cove lighting, florescent lights, two HD wall projectors, and a sound system provide lighting and audio solutions. 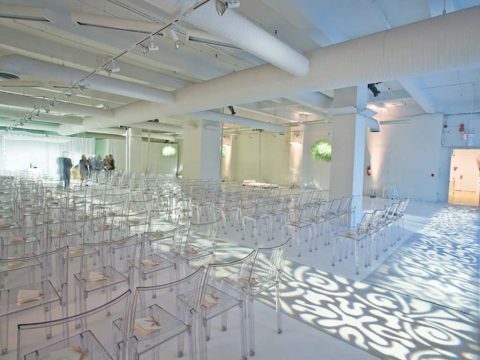 Other features include a versatile, marble outer lobby, a catering prep area, a green room, a coat check area, 10-to-14-foot ceiling heights, and an HD display at the entrance for strong branding opportunities. 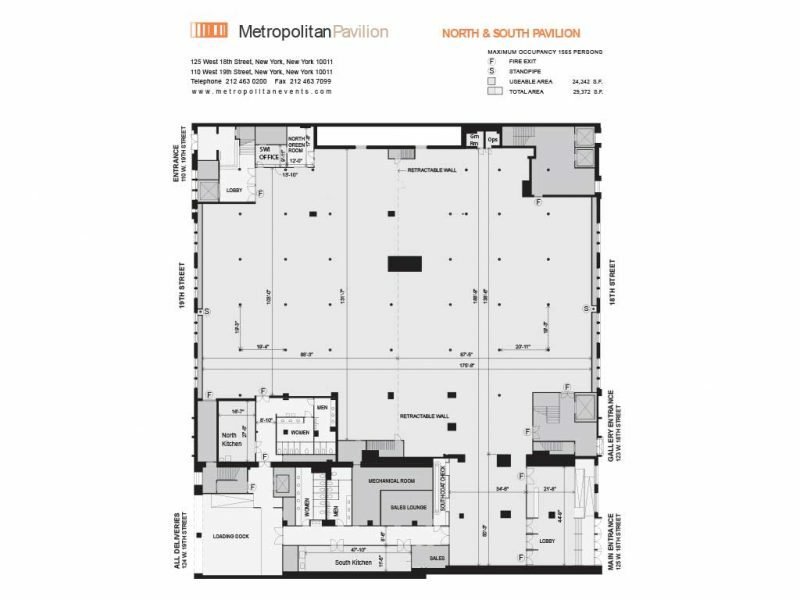 Below are floor plans for The Level at Metropolitan Pavilion available to view and download.